Description: This new Linyi Junxing Cheetah/DDI DDI 12 is a semi auto shotgun that fires the .12 gauge shell. It has a 18” barrel with a black finish. This new shotgun is simular to the SAIGA 12, and comes with two 5 round magazines, Ji-Viz front sight and Peep rear sight, manual, and a box. 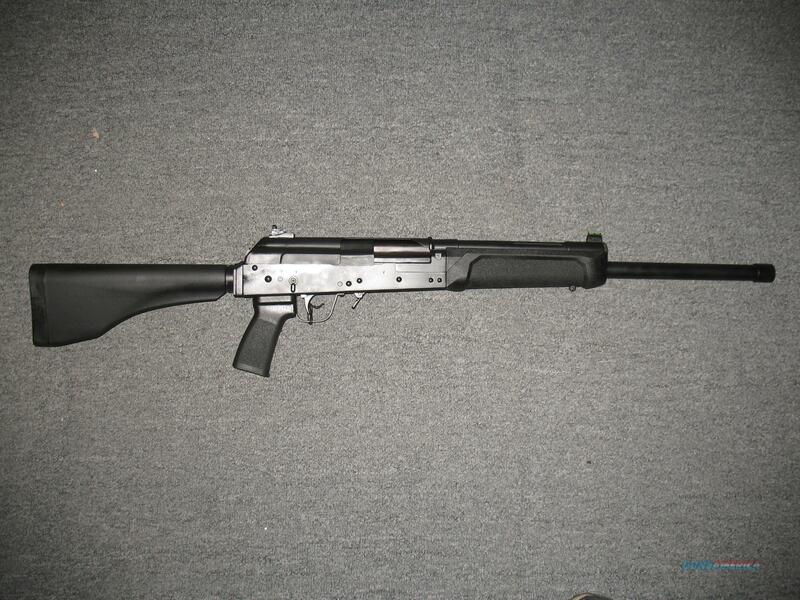 This shotgun uses SAIGA 12 Magazines.